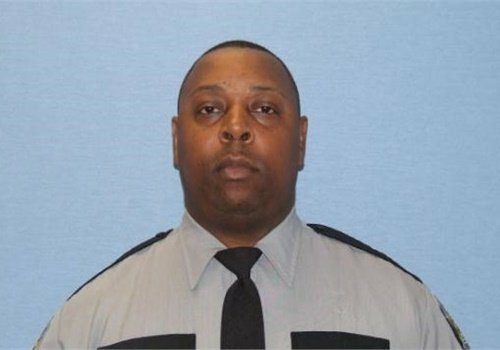 Weeks after an off-duty sheriff's deputy was fatally shot outside a home in Augusta, GA, additional shell casings were found that could prove crucial to proving what happened the afternoon 43-year-old Richmond County Cpl. Gregory Cooke died. At a preliminary hearing Thursday in Richmond County Superior Court for 17-year-old Naheem Caldwell, Georgia Bureau of Investigation Agent Woodrow Boyd testified he collected two 9 mm shell casings Wednesday in the front yard of 2416 Lennox Road. Caldwell admitted he shot at Cooke five times, contending he did it in defense of his father, reports the Augusta Chronicle. Boyd testified he went to the scene of the June 15 shooting Wednesday after attorney Keith Johnson, who is representing the teen, called the agent back to the home off of Windsor Spring Road. Scientific testing should prove if the casings were fired from the 9 mm gun Caldwell used to shoot Cooke, the agent said. The issue could be crucial because Caldwell's father, Stevie Caldwell, admitted that on the afternoon of the shooting he disposed of other shell casings after his son fled the scene with his cousin, Donnelle Osborne, 18. The pair turned over the 9 mm and Cooke's 40-caliber Glock, which they admitted taking from Cooke, when they surrendered in Burke County not long after the shooting. During Stevie Caldwell's preliminary hearing Wednesday, Judge Ashley Wright chastised him, telling Caldwell that his actions may prevent anyone from knowing what happened that night because he tampered with physical evidence.